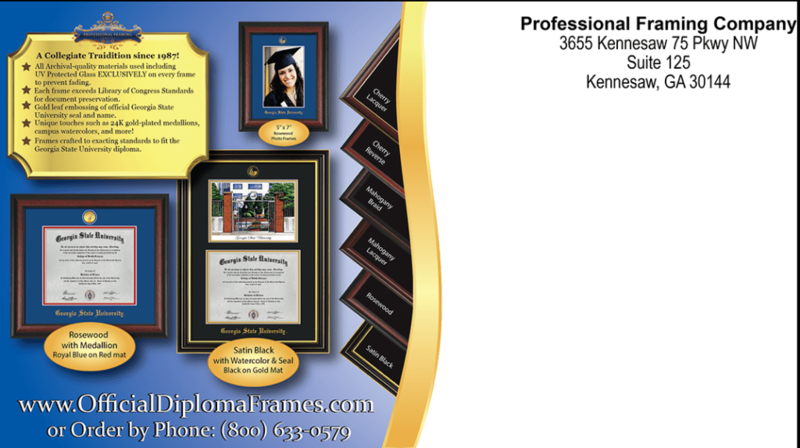 This is the address side of the postcard mailer I designed for a framing company. They sell diploma frames to college graduates all over the country. I designed this in Adobe Illustrator and completed this project in May 2016.